North Carolina Space Grant is pleased to announce the winners of this year’s STEM Pre-Service Teacher Education Scholarships. For the STEM Pre-Service Teacher Education Scholarship, undergraduates studying to become teachers will have the chance to complete a series of three NASA STEM Digital Badges, participate in professional seminars and attend a cohort field trip to NASA Langley Research Center in order to equip them with STEM-fields understanding and NASA content and tools as they enter into K-12 science classrooms. While there, the students present posters of their digital badge work to NASA Langley Office of Education staff. 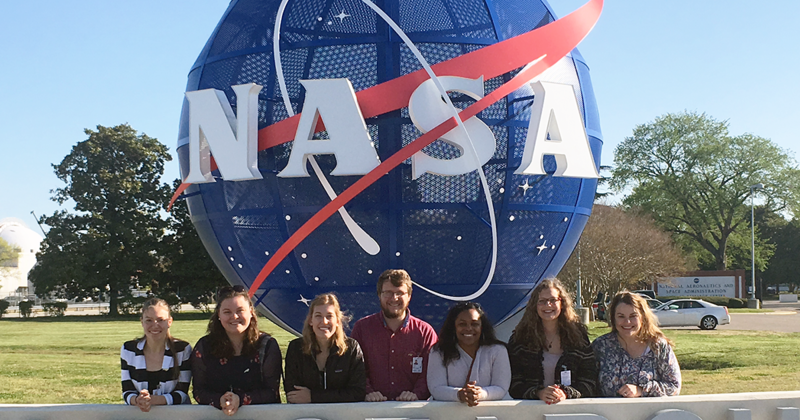 The 2017-18 STEM Pre-Service Teacher Education Scholarship winners visit NASA Langley Research Center in April 2018. 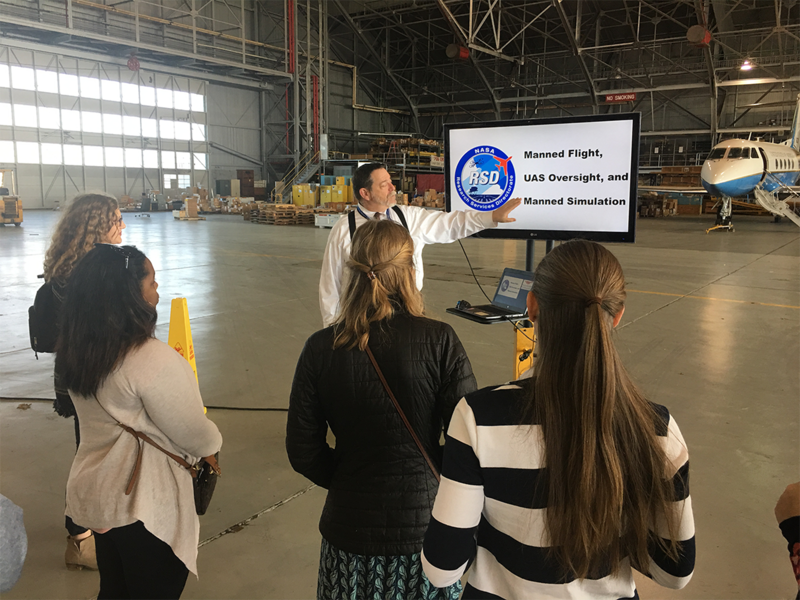 The pre-service teachers receive an orientation from a NASA Langley Research Center education specialist on their visit to LaRC. 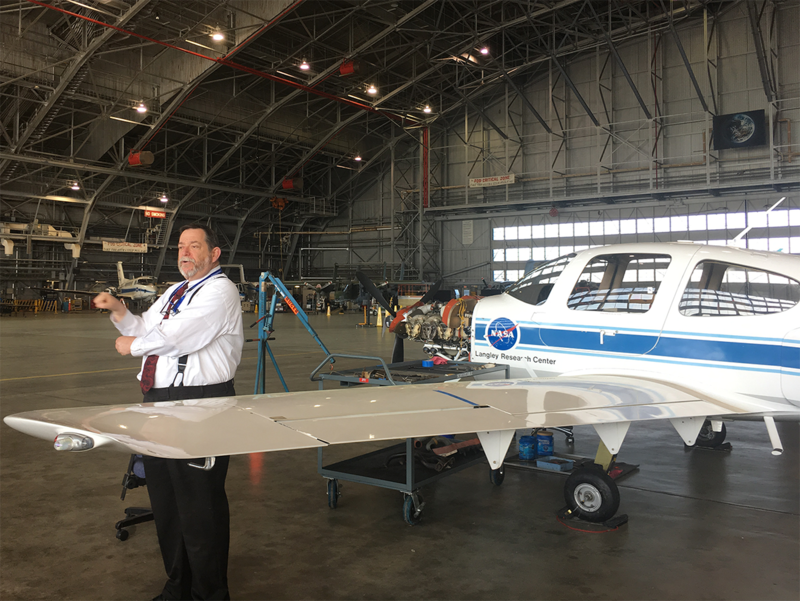 A NASA Langley Research Center education specialist explains a research aircraft for the 2017-18 STEM Pre-Service Teachers.